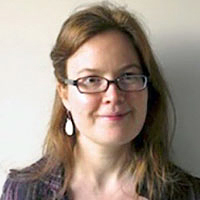 Megan Donaldson is a Junior Research Fellow in the History of International Law at King’s College, Cambridge. She holds degrees in law and history from the University of Melbourne, as well as an LLM in Legal Theory and a JSD from NYU. She has worked in competition litigation, and as an associate to Justice Kenneth Hayne of the High Court of Australia. Following completion of her LLM, she was a Research Fellow in NYU’s Institute for International Law and Justice, where she coordinated a cluster of international projects addressing aspects of global administrative law, and contributed in particular to research on the nature and implications of the “regulatory state” in the global South. More recently, she has explored questions of governance and law in contemporary international institutions, with a particular focus on the rhetoric and practices of transparency, and on the languages of (public) law and governance in international life.